When you own a business, you understand that there are many different aspects of that business that need protecting. It is important to make sure that your inventory, your customers' information, your employees, and your property in general are all secure. One of the best things you can do as a business owner to protect your investment is to have an alarm system installed that is suited to your business' particular needs. We've included a short list of the top 4 ways an alarm system can help you protect your business. When your customers are in your business, they want to feel secure and like they are giving their business to someone who is going to protect them and their personal information. A visible security system is a good way to ease your customers' minds and give an air of professionalism to your business as a whole. Having a security system in plain sight helps ensure customers that they can give you their business without having to worry because their personal financial information is in the hands of someone who takes their safety seriously. Thieves prefer easy targets because that gives them the best chance of getting away with their crimes. Having a visible alarm system is a great way to deter theft because once a thief sees the sticker on your outside window, they will know they are being watched. Many thieves will just walk away in search of an easier target when they see these strategically placed decals and cameras. Most alarm systems these days will be able to alert the proper authorities automatically in the case of an emergency. Alarm systems will help your business if it suffers from a break-in or a fire, you can be sure that the Our fully trained monitors at Baron Communications will notify proper authorities. Any burglars will be made aware of this as well as soon as they open the door. That alarm lets anyone that shouldn't be there know that the police are right behind them and it would be wise to leave. 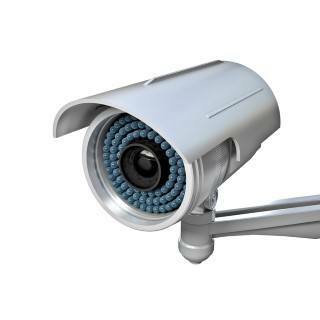 Security cameras can be a great way to protect yourself from fraudulent claims. Having a video record of everything that happens on your property could prove to be a lifesaver if someone tries to falsely accuse you of negligence and take you to court. Well placed cameras will help you get to the bottom of any issues quickly and determine whether there is a legitimate problem or if someone is just trying to make a quick buck off of you.